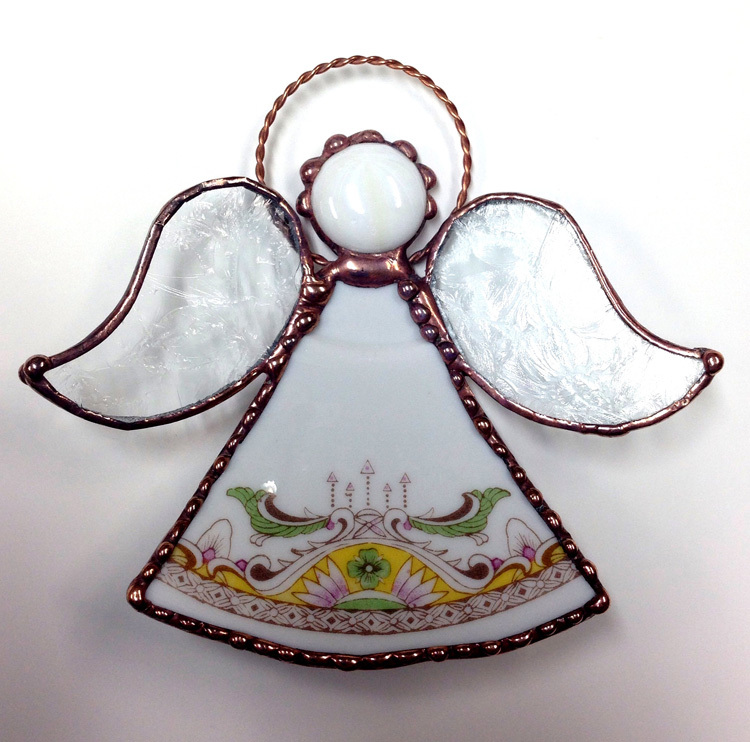 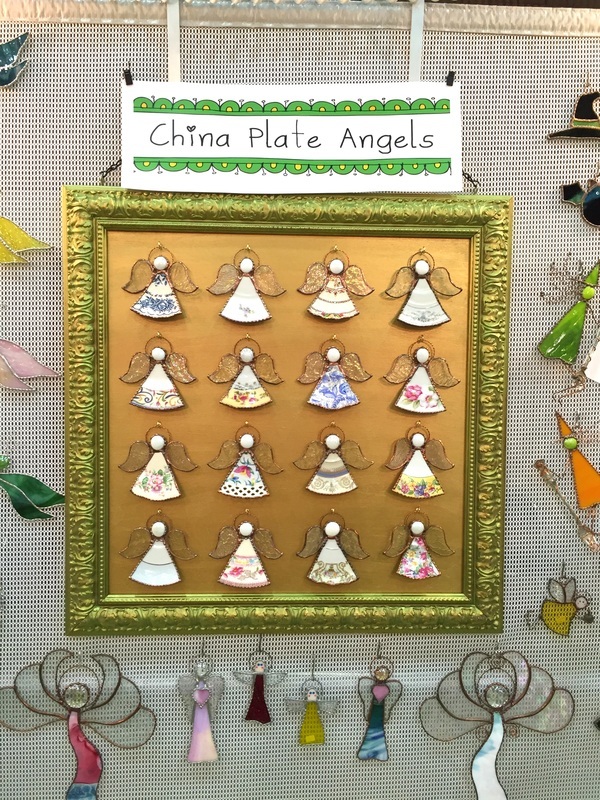 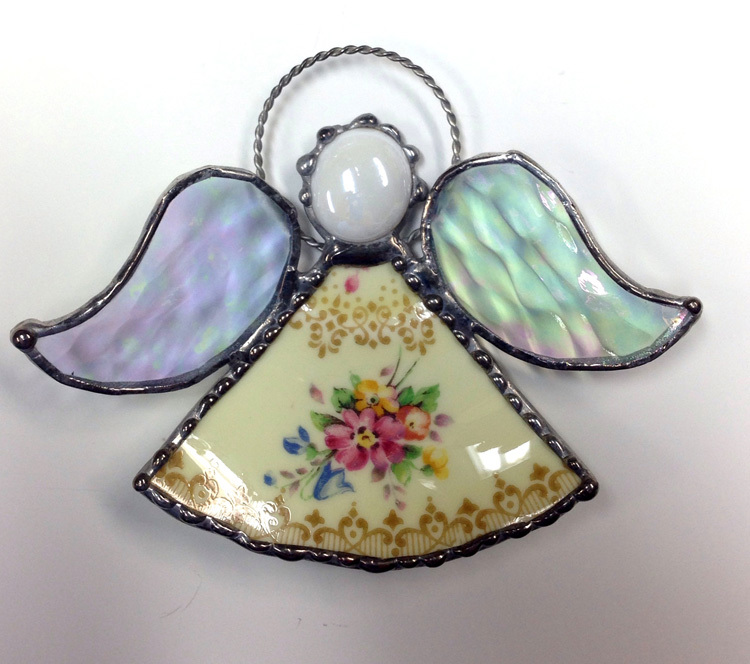 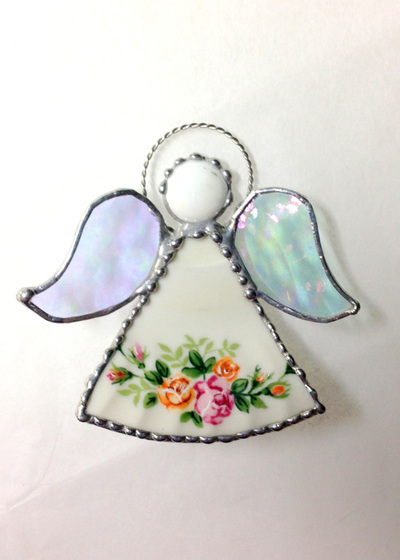 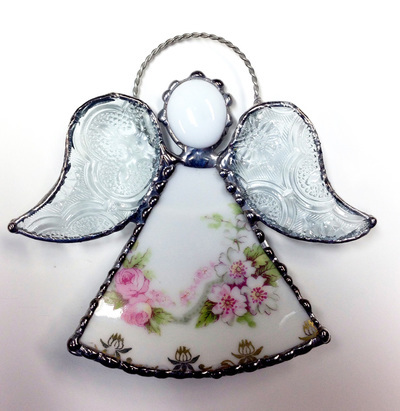 My china plate angels are unique and make wonderful ornaments and gifts. Angels are $24 and small easels are available for $1 for more versatility. 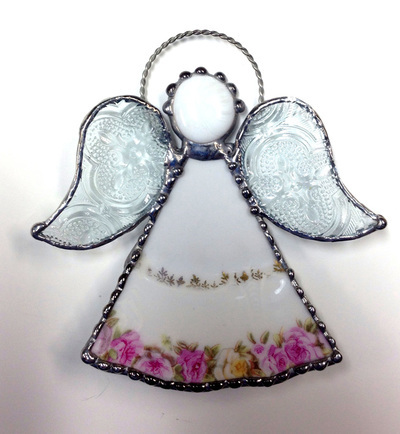 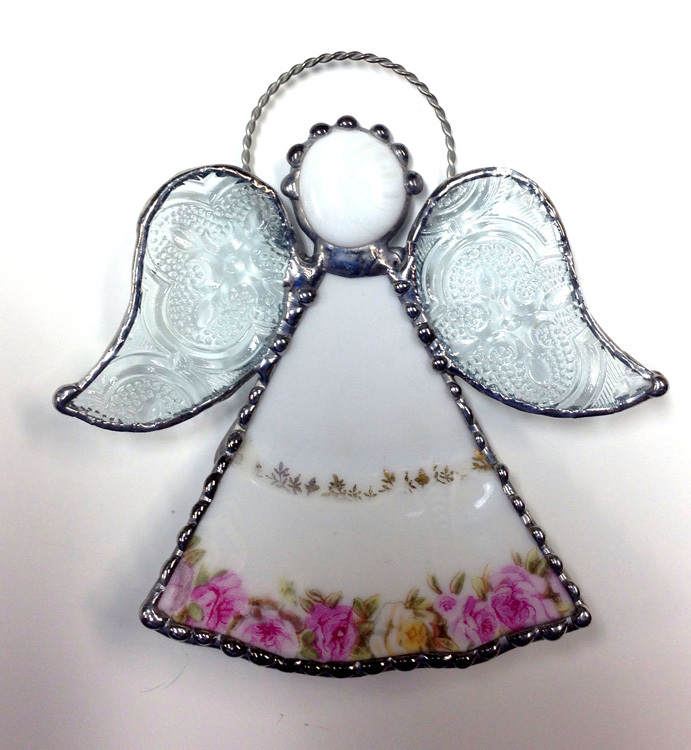 I carefully cut vintage china for the angel dresses and use a variety of clear textured and/or iridized glass for wings. Each angel is finished with a glass gem face, twisted copper halo and decorative bead soldering, and can be finished in either silver or copper. 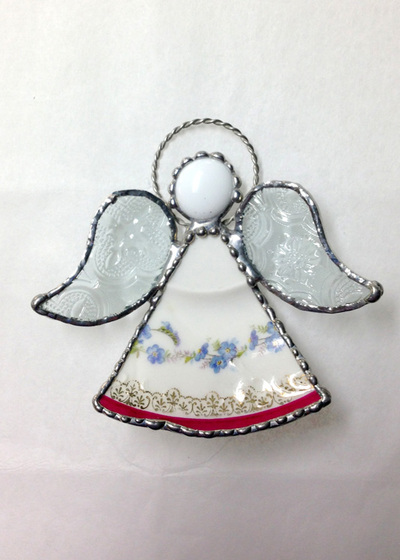 Each angel measures approximately 4" wide by 4 1/2" high. 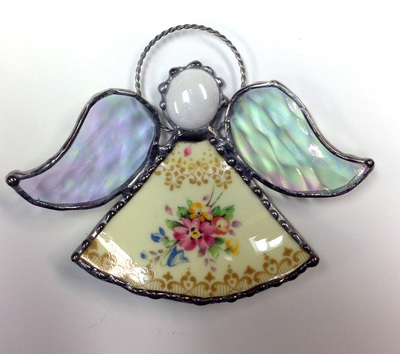 If you have a special piece of china - perhaps your grandmother's pattern or a chipped saucer you can't part with - I can turn it into angels for you!